Three sprues of Tan Plus clear plastic transparent sheet. 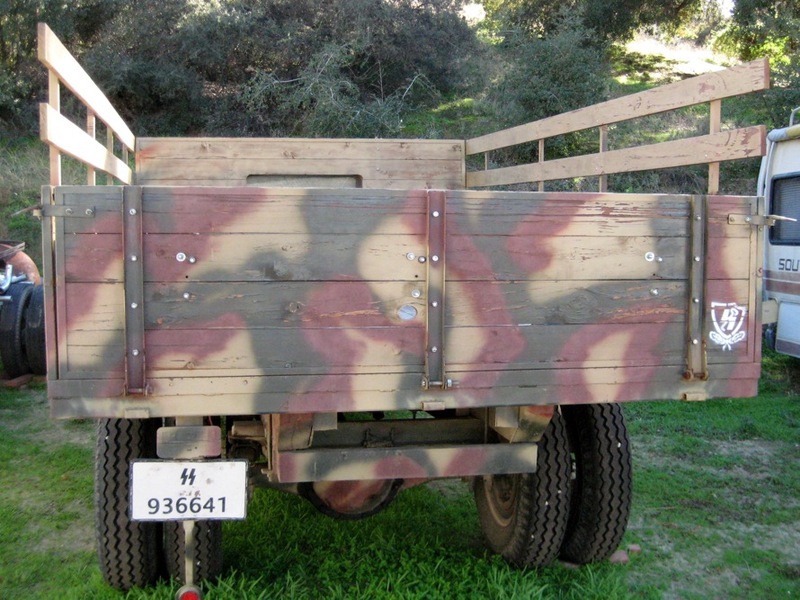 Marking Choices: 4 - 3 choices of WWII German machines + 1 captured Russian machine. There are lots of softskin vehicles flooding the armour market – in the last two years we have seen a proliferation of kits that leave the much loved Tamiya “white box” kits of the past looking like feeble attempts. Photo etched metal, resin, cutting edge tracks in ever more scientifically advanced methods from model makers like Dragon, MiniArt, MasterBox, AFV Club and Bronco are filing the gaps on modeller’s benches of any gaps in the market for the remaining softskins used in WWII. This kit is neither packed with scientifically advanced material or from a new name in the business. This kit is a Plastic injection moulded truck from Revell. Well actually technically it isn’t from Revell - Originally. This kit was originally made by the Russian kit maker ICM, now it was well accepted and so Revell of Germany – with their extended lines of distribution (not to mention better price points) this is a no brainer. 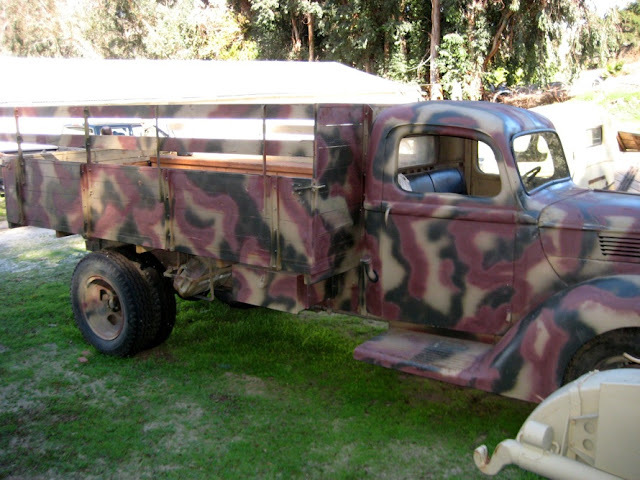 A kit of a German (licence produced Ford actually) truck from WWII should sell really well. Revell seem to have some smart cookies in their “decisions” department. 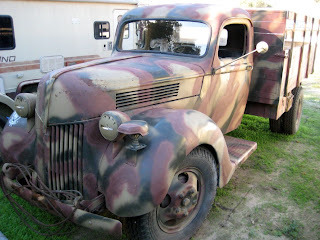 This Ford trick was used by not only the Germans but also the allies and the Russians during WWII. 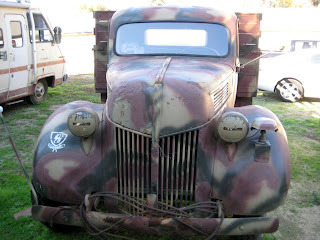 There are some slight differences in the windscreens and tyres but essentially Ford was selling this truck to everyone and letting the warring parties sort each other out. Pretty smart thinking. Just like Revell are doing. They have brought out a kit which should appeal to all – If the ingredients are right – let’s look at them. First of all come the instructions - and a big thumbs up straight away - usually the mixed- saving paper it seems - instructions from Revell have a clear and linear feel to them - maybe they ahve been influenced by ICM here - but I don't care because these are easy to follow and not bunched up and hard to read. The kit is simplicity in itself. Three sprues of tan plastic that ICM usually produces are of a good standard. Only small amounts of flash are evident in a slight mould seam on a lot of the parts – often places that show this up are the leaf springs and the chassis. A small bit of scalpel shaving and you are clear of them. The prep work on this kit shouldn’t be too long. There is no Photo Etch on this kit – though I am sure aftermarket companies will produce some, and no doubt resin wheels – but this kit doesn’t need them. The treads are fine. And apart from a slightly fiddly construction method on step 29 -32 of assembling the wheels in two parts the outside where people see are looking great. There is a sheet of clear plastic here which gives you the windows, headlights and the distinctive German version of this truck with the curve shape one part front windscreen. The second largest sprue is of the engine and the chassis of the truck. A large Flathead Ford V8 is replicated in some detail to fill out that large engine bay, it should require a battery and some wiring loom to make it flood to life – that is if you want to display it open anyway! The chassis is an easy flat ladder type construction that the tray in the next sprue sits on. I was impressed by the lack of flash and clean-up needed on this sprue with such small parts all over it I was pleasantly surprised. The interior of the cab is on this sprue as well – the pedals and dash board will all give you a decent representation of the original – this is a closed cab version so apart from a few open doors most will not see the interior so I guess there isn’t a need for super detailing here. It is however quite acceptable and simple to build the driver’s compartment. The decal sheet is printed in Italy – usually this means by Cartograf – and the usual traits are there – in register – the whites being a lot stronger than the ICM sheet from what I remember – and the fact that there are four pretty interesting schemes on offer here. The captured Russian (this could even be a POST-war scheme) will always win some fans who just HAVE to be different - he he – as will the FLAK division – it is good to see a scheme for this truck that isnt an early war elephant-looking grey colour! Well what can I make of this? It seems that Revell have done a darn good job at choosing this as a kit hey will distribute – new markings, great and logical constructions just add to the overall simplicity of the construction and effective details of the kit. Look at this as the Tamiya white box kit updated – and less expensive! This is a simple and effective kit with minimal or no flaws. It isn't hi-tech, and yes it isn't from a flashy name that makes you seem really cool to your mates - Then again it wont cost you the earth like a Cyberhobby Blitz model. Most of all it looks like a fun build- that's what we are in this game for isn't it?